(later Wednesday evenings) on NBC. Stories about "the special agents of all branches of our federal government, who daily risk their lives to protect the lives of all of us … to guard our welfare and our liberties, they must remain nameless - THE SILENT MEN!! Well crafted spy dramas are fun. They have all the intrigue of a good mystery story, along with a good deal of action and gun play, spiced with a bit of Patriotic fervor. Basing the story on true life adds even more. The Silent Men based their transcribed stories on the files of "Special Agents of all branches of the Federal Government, who daily risk their lives to protect the lives of all of us" they must remain nameless- The Silent Men." The drama is heightened when the star warns us that "only the names and places are fictional." 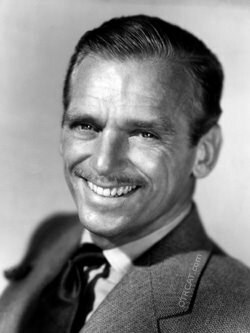 But the real treat is that the star is Douglas Fairbanks Jr.! 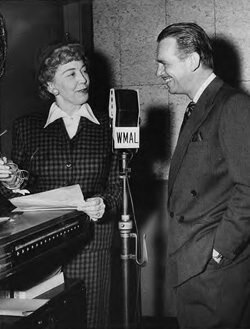 Best remembered today for his distinguished movie career (60 years and 100 roles,) Fairbanks appeared at least 400 times on radio in 70 different programs, often reprising roles he had made famous on the big screen. It is easy to imagine that The Silent Men would have been easy sell to NBC, given Fairbanks' star power and production skills, (The Silent Men was a Fairbanks production, but unlike many stars, he kept his production credits to a minimum) but Fairbanks was himself a "Silent Man!" It would have been easy for the actor to don a uniform and remain on the sidelines of WWII. In 1941 FDR appointed him a special envoy to South America. Fairbanks held a Reserve Officer's commission in the US Navy, and early on the war was assigned to Lord Mountbatten's Commando Staff in England. Here he learned the value of military deception and harassing raids on the enemy. When he returned to the States he helped to create the Navy's "Beach Jumper" Units. These small but specialized units used small boats, visual and electronic camouflage, and radio jamming techniques to confuse the enemy in support of Amphibious Operations in the Mediterranean, as well as the D-Day invasion of Europe. Episodes of The Silent Men began with Fairbanks' character checking in with his chief, usually played by William Conrad (Gunsmoke, Escape). He then left on a vital or dangerous assignment. Through the course of the series, Fairbanks would portray several Agents of the Central Intelligence Agency, Department of Commerce Enforcement Division Special Agent, Postal Service Agent, Department of Defense Investigative Service Special Agents, Treasury Agents, and Federal Bureau of Narcotics and Dangerous Drugs Agents. The program had to have been a great morale boost to the agents and their family whose work was saluted. It can also be assumed that several of the agents listening knew of Fairbanks' own contributions as a Silent Man. For more espionage and adventure see: I was a Communist for the FBI, Spy Catcher, Cloak and Dagger, Counterspy - David Harding!, Dangerous Assignment, The Adventures of Frank Race, Harry Lime (The Third Man), Secret Agent K7 Returns, and The Man Called X. Be the first to comment on "Silent Men"